This rule was filed as 13 NMAC 20.2. New Mexico Public Regulation Commission, Insurance Division, Post Office Box 1269, Santa Fe, NM 87504-1269. This rule applies to all persons seeking licensure to transact, or transacting, bail bond business in New Mexico. Sections 59A-2-9 and 59A-51-1 NMSA 1978 et seq. January 1, 2000, unless a later date is cited at the end of a section or paragraph. The purpose of this rule is to implement the Bail Bondsmen Licensing Law, Section 59A-51-1 NMSA 1978 et seq. In addition to the definitions contained in the Bail Bondsmen Licensing Law, as used in this rule clock hour means fifty (50) minutes of continuous formal pre-licensing classroom education. A. All applicants: Pursuant to 18 U.S.C. Sections 1033 and 1034 of the Violent Crime Control and Law Enforcement Act of 1994, and the Criminal Offender Employment Act, Section 28-2-1 NMSA 1978 et seq., no person who has been convicted of a felony involving dishonesty or a breach of trust shall be licensed as a bail bondsman or solicitor without the written consent of the superintendent. A person seeking to transact, or transacting, both surety and property bail bonds must be licensed as both a limited surety agent and a property bondsman. A bail bondsman shall not concurrently be licensed as a solicitor. A solicitor shall not concurrently be licensed as a bail bondsman. A solicitor shall not concurrently be employed by more than one bail bondsman. The solicitor’s license shall cover the kinds of bail bonds for which the employer bail bondsman is licensed. A solicitor employed by a limited surety agent shall not sign surety bail bonds. The requirements in this section are in addition to the requirements of Section 59A-51-5 NMSA 1978. The application shall be signed by the applicant, under oath if required by the form. The application shall state the type of license applied for. Such other pertinent information about the applicant as the superintendent may reasonably require. The application shall show bail bonds as the class of surety insurance business to be transacted. The application must be accompanied by appointment of the applicant as a limited surety agent by an authorized surety insurer, subject to issuance of the license. That it believes the applicant intends in good faith to engage in the bail bond business. The application shall show property bail bonds as the class of bail bond business to be transacted. The application shall include a schedule of charges and rating plan that conforms to the requirements of 13 NMAC 20.2.23 [now 13.20.2.23 NMAC]. The applicant shall demonstrate financial responsibility by filing an audited financial statement under oath using the schedules and instructions prescribed in 13 NMAC 20.2.24 through 20.2.33 [now 13.20.2.24 NMAC through 12.20.2.33 NMAC]. The application shall be accompanied by a written appointment of the applicant as a solicitor by a licensed bail bondsman, subject to issuance of the license. That he believes the applicant intends in good faith to engage in the bail bond business. E. Approval or denial of license application: After completing his review of an application for a license as a bail bondsman or solicitor, the superintendent shall notify the applicant in writing whether his application has been approved or denied. Other relevant issues confronting the bail bond business in New Mexico. NMSA 1978, Chapter 46, Article 6, Surety Bonds. A. Accreditation: Any person seeking to offer formal pre-licensing classroom education courses for bail bondsmen shall be approved and accredited by the insurance education committee as provided in 13 NMAC 4.7 [now 13.4.7 NMAC], Continuing Education Requirements. B. Curriculum: Once a year, at least thirty (30) days prior to the commencement of a formal pre-licensing classroom education course, an accredited provider shall file a course curriculum with the superintendent for his approval. The course curriculum shall be based on the subjects, laws and rules cited in 13 NMAC 20.2.10 [now 13.20.2.10 NMAC], shall describe how each subject will be taught to the applicant, and shall indicate the approximate amount of time to be allocated to each subject. C. Course sites: Accredited providers shall offer formal pre-licensing classroom education courses in at least two geographic areas of the state located not less than one hundred fifty (150) miles apart, as measured in driving distance from one course site to the other, until such time as the superintendent determines that sufficient classes are available state-wide. D. Certificate of completion: For each applicant who successfully completes the required formal pre-licensing classroom education, the accredited provider shall prepare and furnish to the applicant on the form provided by the superintendent a written certificate stating that the applicant has successfully completed the required formal pre-licensing classroom education in accordance with the approved curriculum. The provider shall specify the number of hours the applicant attended the course. A. On-the-job training plan: Once a year, at least thirty (30) days prior to the commencement of on-the-job training, the sponsoring bail bondsman shall file an on-the-job training plan with the superintendent for his approval. The on-the-job training plan shall be based on the subjects, laws and rules cited in 13 NMAC 20.2.10 [now 13.20.2.10 NMAC], shall describe how each subject will be taught to the applicant, and shall indicate the approximate amount of time to be allocated to each subject. B. Certificate of completion: For each applicant who successfully completes on-the-job training, the sponsoring bail bondsman shall prepare and furnish to the applicant on the form provided by the superintendent a written certificate stating that the applicant has successfully completed on-the-job training in accordance with the approved on-the-job training plan. A. Apprenticeship plan: Once a year, at least thirty (30) days prior to the commencement of an apprenticeship, the sponsoring bail bondsman shall file an apprenticeship plan with the superintendent for his approval. The apprenticeship plan shall be based on the subjects, laws and rules cited in 13 NMAC 20.2.10 [now 13.20.2.10 NMAC], shall describe how each subject will be taught to the applicant, and shall indicate the approximate amount of time to be allocated to each subject. B. Certificate of completion: For each applicant for a bail bondsman’s license who successfully completes an apprenticeship, the sponsoring bail bondsman shall prepare and furnish to the applicant on the form provided by the superintendent a written certificate stating that the applicant has successfully completed the six (6) month apprenticeship in accordance with the approved apprenticeship plan. Upon written request from an applicant, the superintendent may, in his discretion, waive the pre-licensing education requirements whenever the applicant’s background and experience so warrant. Submit a written certificate of completion from an accredited provider for formal pre-licensing classroom education, if applicable. B. Authorization to take examination: Upon receipt of a complete application for examination, the superintendent shall issue written authorization for the applicant to take the required examination. Application: A bail bondsman seeking to be certified as a sponsoring bail bondsman shall file an application with the superintendent on a form prescribed by the superintendent. has a good business and personal reputation. Certificate: The superintendent shall issue written authorization to act as a sponsoring bail bondsman. B. Assignment: The superintendent may assign a sponsoring bail bondsman to conduct on-the-job training for an applicant for licensure as a bail bondsman. Failure to continue to meet the qualifications set forth in 13 NMAC 20.2.16.1.2 [now Paragraph (2) of Subsection A of 13.20.2.16 NMAC]. Continuing education for bail bondsmen and solicitors shall be provided in accordance with 13 NMAC 4.7 [now 13.4.7 NMAC], Continuing Education Requirements. A. Permanent street address of place of business: Every bail bondsman shall have and maintain in this state a place of business accessible to the public where the bail bondsman principally conducts bail bond transactions. The permanent street address of such place shall appear upon the bail bondsman’s license, and the bail bondsman shall notify the superintendent in writing within fifteen (15) days of any change of address. Nothing in this paragraph shall prohibit the bail bondsman from maintaining his place of business in his residence in this state. B. Display of licenses: The licenses of the bail bondsman and the solicitors employed by him shall be conspicuously displayed in a part of the place of business customarily open to the public. C. Allowable charges: A bail bondsman shall not accept any charges, fees, reimbursement or other remuneration except as provided in the approved rate filing of the surety insurer or the approved schedule of charges and rating plan of the property bondsman. The signature of the defendant or principal acknowledging delivery of the receipt for premium. E. Payment by credit card: A bail bondsman may accept payment by credit card as long as the fee charged by the credit card company is not passed on to the client. (b) Shall make all records of bail bond transactions made pursuant to his license available for inspection at his principal place of business within forty-eight (48) hours of a request from the superintendent. When the employment relationship between a bail bondsman and solicitor ceases as a result of either discharge or resignation, the bail bondsman shall terminate the appointment as prescribed in Section 59A-51-12B NMSA 1978. A. The transactions of a solicitor under a solicitor’s license shall be in the name of the employer bail bondsman. B. A solicitor shall maintain records of his bail bond transactions. C. A solicitor may notify the superintendent and the employer bail bondsman when he ceases employment as a solicitor. A. When posting a bail bond, a bail bondsman or solicitor transacting bail bond business in New Mexico must show that he has a valid license issued by the superintendent. B. When countersigning bonds for another bail bondsman, a bail bondsman must show proof that he is employed by the authorizing bail bondsman. A. Permissible forms: Collateral security may be in the form of cash or negotiable instruments, a mortgage on real property, personal property, or a lien on personal property. an acknowledgement that collateral security has been returned to the depositor, the date returned, and to whom. 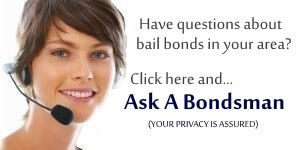 C. Reasonable amount: A bail bondsman may not require or accept collateral security or other indemnity that exceeds one hundred percent (100%) of the amount of the bond, provided that any portion of collateral received as cash or a negotiable instrument shall not exceed eighty percent (80%) of the amount of the bond. D. Return of collateral: A bail bondsman shall return any collateral not forfeited to a court to the client within ten (10) days of final termination of liability on the bond, as evidenced by receipt of the judgment and sentence in the case, a certificate of discharge, or an order releasing the bond. The client may retrieve the collateral at the bail bondsman’s place of business or the bail bondsman may deliver the collateral to the client in a manner or at a location agreeable to the client. A bail bondsman shall not use collateral to pay for expenses of recovering a defendant who fails to appear. E. Unclaimed collateral: A bail bondsman shall maintain and dispose of any unclaimed collateral in accordance with the Uniform Unclaimed Property Act, Sections 7-8A-1 NMSA 1978 et seq. 13.20.2.22 RECORDS OF OPERATIONS: Every bail bondsman shall keep the records required by 13 NMAC 20.2.22.1 and 20.2.22.2 [now Subsections A and B of 13.20.2.22 NMAC] for at least three (3) years after final termination of liability on the bond and the records required by 13 NMAC 20.2.22.3 [now Subsection C of 13.20.2.22 NMAC] for at least five (5) years after final termination of liability on the bond. Whether the bond was forfeited. The date the property was returned. The reason for the disbursement. A. Rates shall not be excessive, inadequate, or unfairly discriminatory. B. Rates shall be based on the revenues, forfeiture experience and expenses of the property bondsman. Expenses shall include the costs of recovering defendants who fail to appear. C. The schedule of charges shall state the premiums to be charged for bail bonds and may state a minimum premium. D. The schedule of charges and rating plan shall include a written acknowledgement that the property bondsman will charge neither more nor less than the rates approved by the superintendent. E. The proposed schedule of charges and rating plan shall not go into effect until approved by the superintendent in writing. Provided to any court upon request.